Living in a region is the best way to get some of the best tips and information on places to visit for travelers. That’s why Gringa Traveling Mom, after living in Central America for over ten years, can talk with authority when it comes to traveling to El Salvador. Learn all about the local language, currency, best places to visit, food and more. I lived in Central America for over ten years and visited El Salvador several times for long vacations and weekend getaways. It is one of our favorite places to visit when we want to leave the country or to go on a short road trip from our home in Antigua Guatemala. So I feel I have a lot to share with those who are considering a trip to this area. Don’t let its size fool you! This tiny country is packed with fun stuff to do. 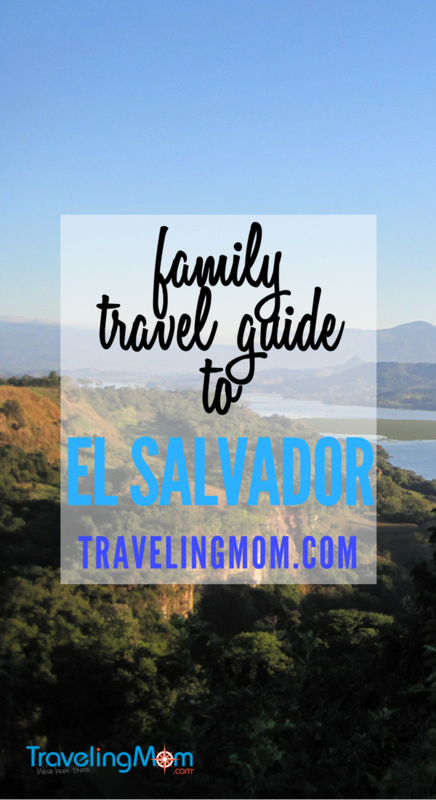 As cool as it is, there are a few things you should know if you want to travel to El Salvador. These are the basics that you have to be aware of before traveling to this tiny country. Following my tips will make your trip smoother – and happier. The official currency of el Salvador is the UD Dollar. The local government replaced the Salvadoran Colon with the US Dollar in 2001. This means that you will have no problems with tons of fees for exchanging money and with being left with coins and bills that you won’t use again. At most restaurants, 10% service tip is automatically added to your bill. But if you eat at small eateries or at street stalls, it won’t be included, so make sure to leave a tip if the service was good. If, on the other hand, you are taking a taxi, it is not expected of you to tip the driver. Lastly, people at hotels and tour guides aren’t expecting tips either, but if someone helps out with your bags or is being exceptionally nice, it is always a good idea to tip him a couple of dollars to keep you in his good graces. The official language and the one that you will hear most often is Spanish. Local languages that you might also hear are Lenca, Pipil and Q’eqchi. There are people who speak English and French, but they aren’t that common. As a traveler, you might only find them at large hotels and fancy restaurants. So it is definitely a good idea to learn the basics of Spanish. 1. 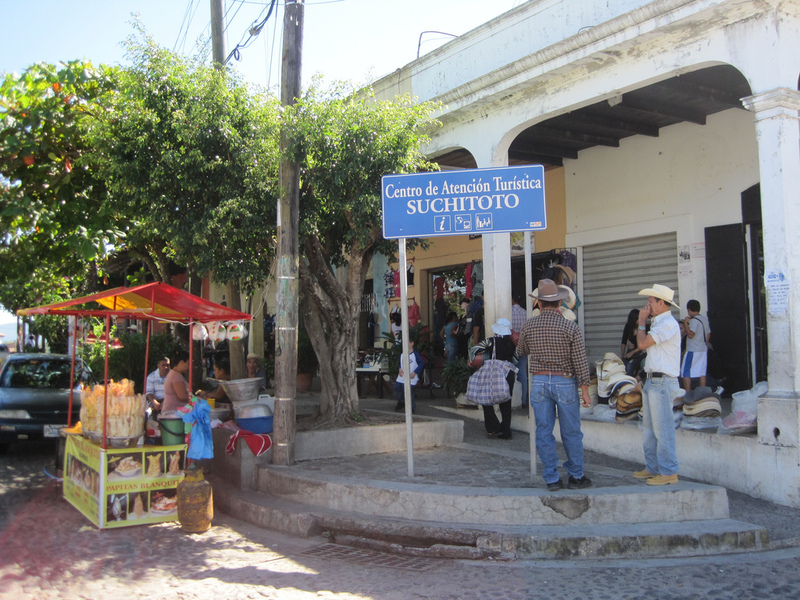 Suchitoto – Suchitoto is a small town that was once an important city of the country, back in the colonial times. Now it is a place for art, food, and culture. The place has a relaxed feel and going for a walk in its cobblestone streets lined by well-preserved Spanish colonial buildings is an amazing experience. 2. Tazumal – This is definitely the best Mayan archaeological site in El Salvador. It may not be as big as many other sites in Guatemala but it has a lot that you can learn from. Plus it is beautiful, making it a great place for a day trip. 3. Coatepeque Caldera – This is a lake that was formed over a large semi extinct crater. It has clean, blue water and reaches a depth of 120m. Activities like boat tours, kayaking and mountain hiking are offered all over. You can also just swim on it for free. 4. 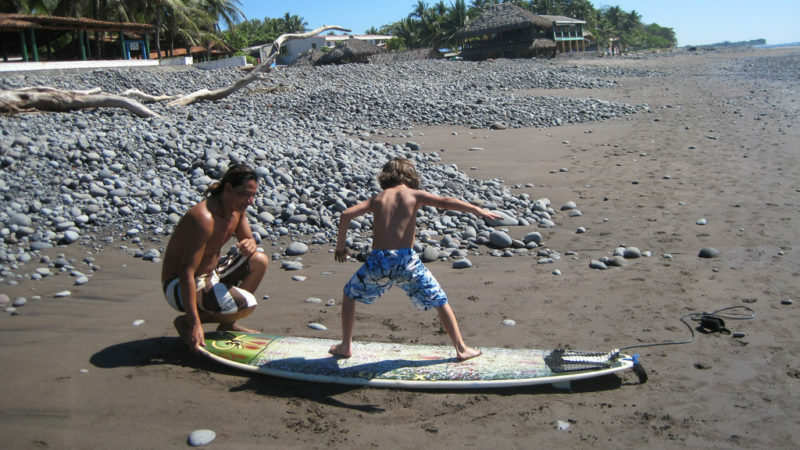 Playa El Tunco – El Tunco is the place to be if you are looking to do some surfing. 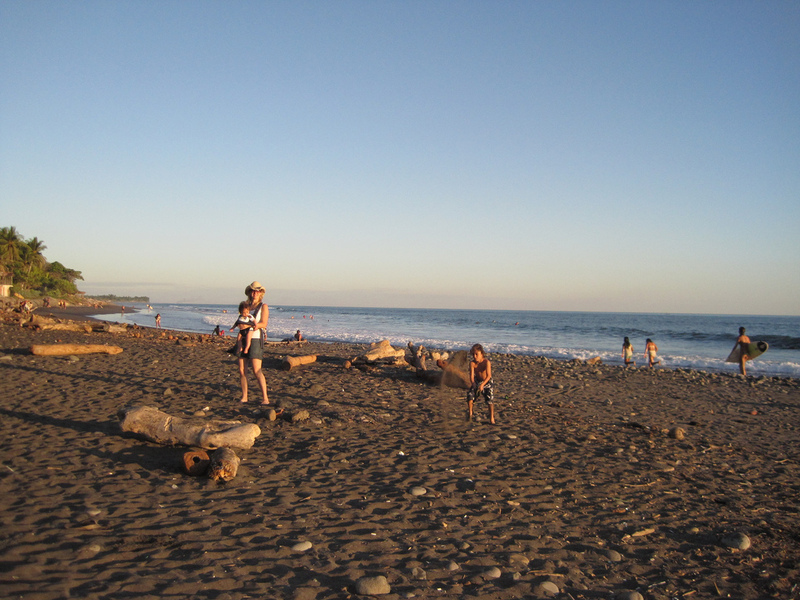 This is a black sand beach with a beautiful landscape and even beach caves that you can check out when the tide is low. If you are in the region, make sure to stay for the sunset. They are stunning. Almost every country in the world has a national dish or one that you must try. In the case of El Salvador, you can’t leave without eating at least one Pupusa. This dish is extremely basic but so flavorful! It is basically a corn tortilla stuffed with either beans, cheese, pork meat, veggies, seafood or some combination of all of them. Locals use a kind of fermented cobb salad and homemade tomato sauce that give them an amazing taste. 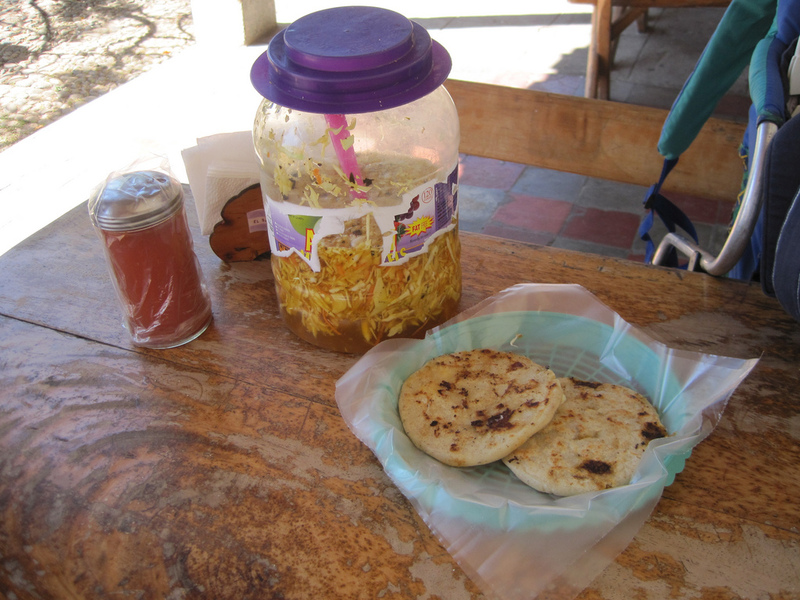 If you have traveled to Central America, you might have found pupusas somewhere else but the preparation is different. In some places they are almost fried; in some others, they top them with avocado. But none of them are as good as the ones in El Salvador. Will I need a tour guide? If you stick to cities, towns, and beaches, you won’t need one unless you want to learn about the history or legends of a certain area. Now if you are going on an outdoor adventure, you should definitely get one. Even if you are experienced, it is always safer to have a guide who will know which are the dangerous places. There are also routes that can be deceiving. WHAT about renting a car?? We have a 4 month old and 3 year old and we can’t dexide what will be easier, rental (with car seats but we’re driving) Uber (no car seats but we don’t have to figure our directions) or should we try to hire a service that will take us around for 5 days and have our car seats?? ?